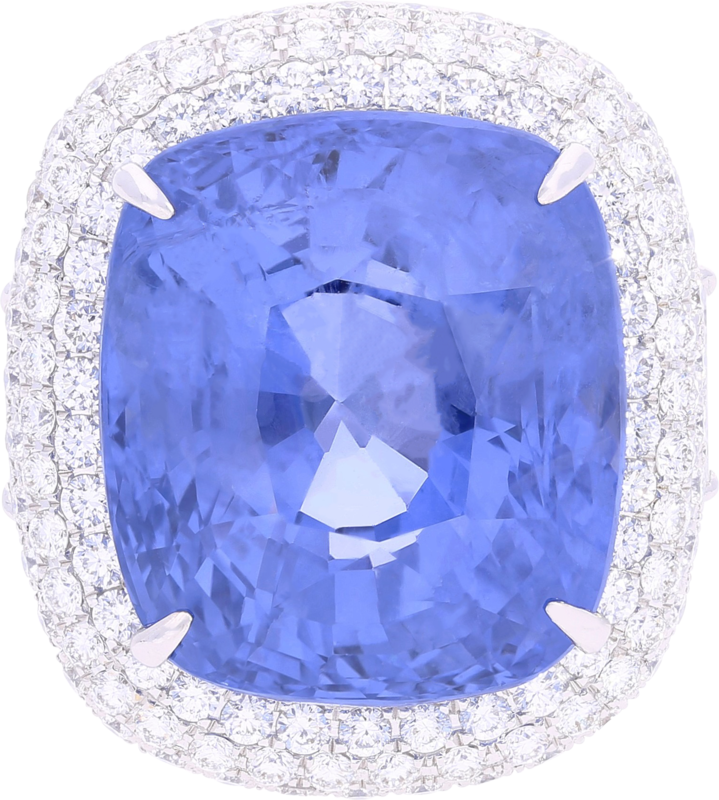 Centering a staggering 50.11 carat cushion-cut Ceylon sapphire, accented by 276 diamonds weighing 4.73 carats, and set in 18k white gold, this ring dwarfs nearly every other one in the entire marketplace. 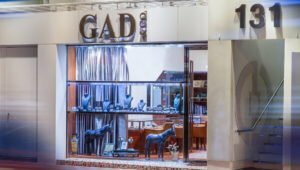 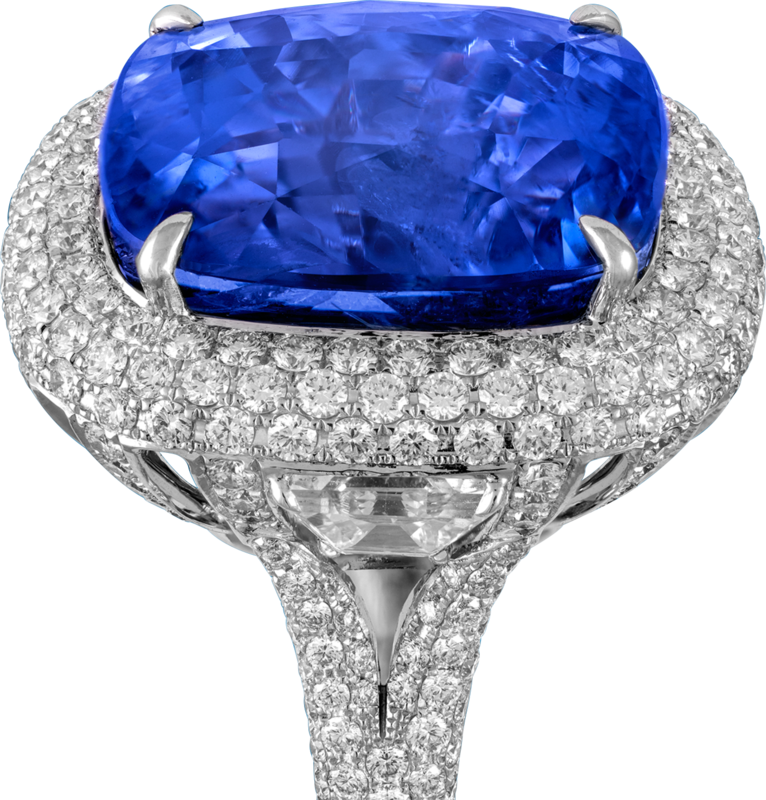 In todays market, a premium is placed on gems that deviate from the norm. 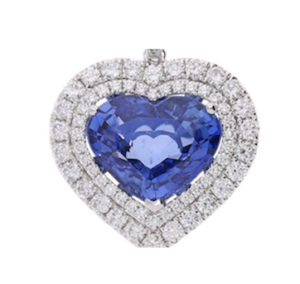 With all 50+ carats of the sapphire radiating a royal blue hue so attractive that it overshadows many smaller gems, this sapphire is an anomaly- a complete abberation of the laws of nature- and should not exist. 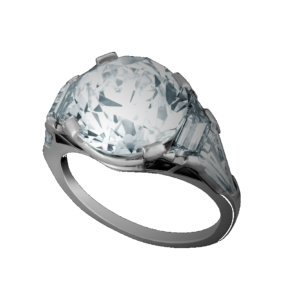 Going one step further, this ring is “unheated”, which means it is free of the manmade quality enhancement that is commonplace in todays market and as pure as nature intended. 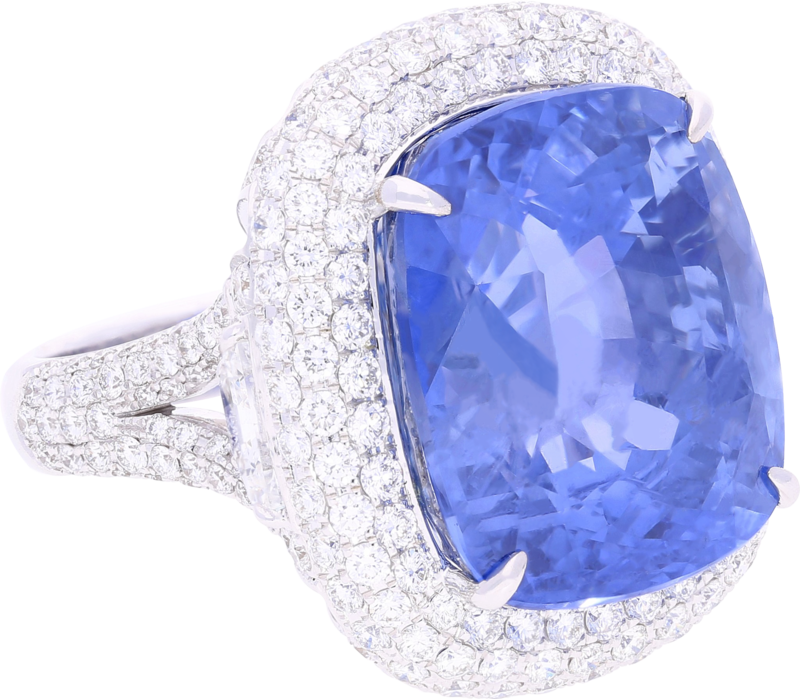 -The sapphire is classified by GRS to be of Ceylon(Sri Lanka) origin, and to be of no “heat”.